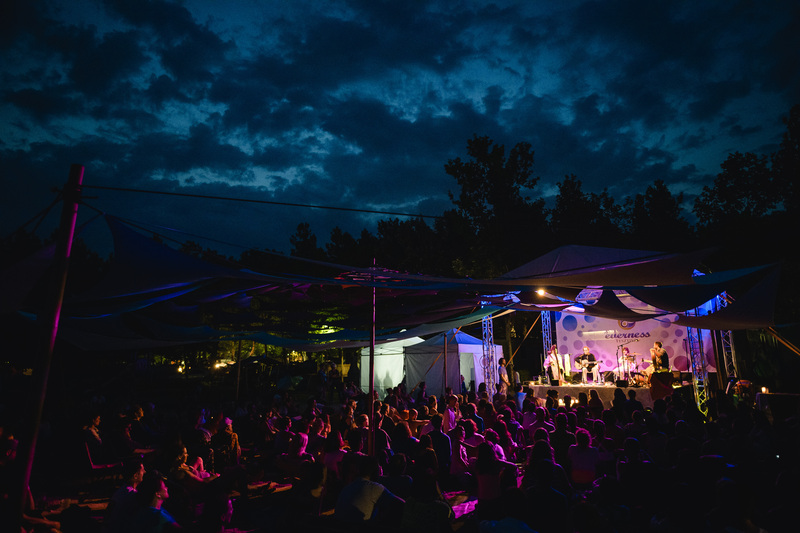 Seven years ago we have dreamt a festival, where lectures, conversations, movements, dance, art, environmental awareness, self-transcendence, human relations and healthy way-of-living is in the center and the different kind of musical productions are in harmony with this point of view. A Festival, where you can freely be Yourself and from where you can go home relaxed and ready for action, because you have discovered some new ways to the world you want to live in. We would like to create a space and opportunity for people to spend some time with consciousness, mindfulness, relaxation, recreation, personal development, togetherness and sustainability. At Everness Festival people of all ages, from all walks of life can meet, and form a community around the same principles. You and anyone else - famous musicians, artists or spiritual leaders - can meet and can connect to each other. Now, year after year we expect around 5000 visitors who are open-minded spiritual seekers of all types along the shore of the magnificent Lake Balaton. Our vision is very simple. It's explicit. We want to live as part of a more conscious, physically-mentally healthier and happier world. What we dream of is a far-reaching community across borders and which we have been working for since 2011.